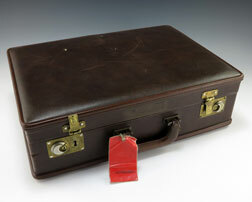 Well worn, brown leather briefcase owned and used by President Gerald R. Ford. This briefcase traveled everywhere with President Ford. It was the briefcase he always used.